Very few people in Australia outside of the legal profession wear professional work attire based on standards that were developed in the 1600s. Our law is deeply entrenched in history and tradition, and cases decided hundreds of years ago still make up part of our common law. But just because our criminal justice system has historical roots, does this mean that we need to keep the clothes too? Are wigs and robes still required in Australian courts? 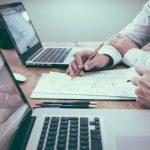 The rules surrounding dress code are complex and vary from state to state, from court to court, and even within the same courtroom. 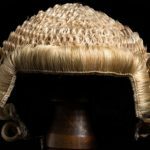 Judges of the High Court wear robes, but have not worn wigs since 1988 – but the barristers appearing before them still do. Barristers are required to wear wigs, robes, jacket and jabot – which is a kind of collar with two pieces of material hanging down the front. 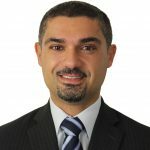 However if you turn up to a local court, such as the Downing Centre Local Court or Parramatta Local Court in Sydney, you won’t see magistrates in wigs or robes, and barristers are not required to wear them either. When the Family Court was originally set up in the 1970s, it was deliberately structured in a less formal way. Judges did not wear wigs or robes – but the robes were introduced in the 1980s and are still worn today, but only for certain types of appearances. Wigs and robes were originally worn in England as a way to distinguish the legal profession from other members of society. In the 1600s, uniforms of the legal profession began to be codified, and this followed into the colonies. At first, there were questions about the practicality of heavy robes in our warm climate, but tradition prevailed in Australia shortly after colonisation. And in most courts, it seems that tradition still prevails, lagging behind changes in fashion throughout most other occupations and in society generally. 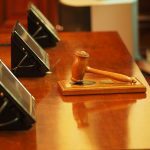 In 1987, one female barrister did a scandalous thing – she wore a pair of pants that went against the strict dress code of the Victorian Supreme court, making headlines and causing quite a stir. And in 1993, lawyer Sue MacGregor shocked the Magistrate when she decided to turn up to court in polka dot stockings and a skirt above the knee. The Magistrate swiftly threw her out of court, and even threatened to leave the courtroom to ‘recover’ from the shock. 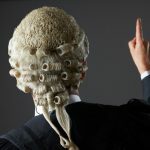 In other modern countries such as Canada, the US and many parts of Europe, wigs and robes have not formed part of the traditional garb of barristers and judges for a long time, if ever. Even countries that did have the robe and wig, such as Ireland and New Zealand, have now abolished the requirement. So why is it still necessary here in Australia? Traditionalists argue that it imbues a certain sense of respect and gravitas into court proceedings, promoting formality and maintaining order. But opponents say that the dress causes lawyers to appear out-of-touch with ordinary people, and can make outsiders feel intimidated or inferior in court. Others find it outright comical, comparing the red attire worn in the Supreme Court attire to that worn by Santa Claus. 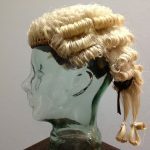 Perhaps surprisingly, a 2003 survey conducted by the Law Institute of Victoria of 360 members of the public found that over half (54%) believed that wigs and robes should still be worn in court. 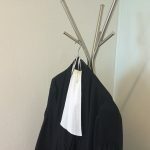 The survey found that many respondents preferred the fact that judges and barristers can be readily identifiable in the courtroom through their attire. But there were a proportion of respondents who found the clothing to be irrelevant, unnecessary and even counter-productive as a result of its perceived promotion of a class distinction. Those in favour of modernisation argued that having judges and barristers dressing in a way which is clearly out-dated could lead to contempt from the public and a lessening of respect for the judiciary.